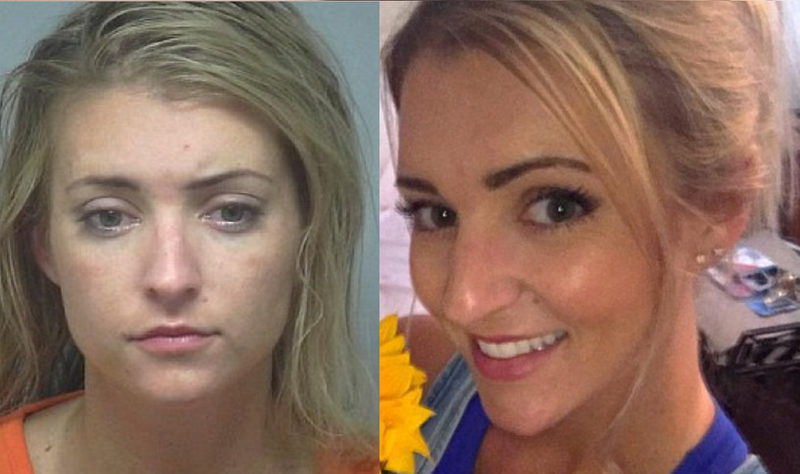 32-year-old Miss Lauren Cutsaw became the face of privilege and unbridled self-entitlement overnight after dashcam footage of her DUI arrest in South Carolina went viral. The official police report of the arrest stated that Miss Lauren Elizabeth Cutshaw had bloodshot eyes and was slurring her words when they pulled her over in Bluffton on Saturday after she could be seen speeding through a stop sign at 60 mph. A breathalyzer test showed that her blood-alcohol level at that moment was 0.18 percent. Related coverage: <a href="https://thegoldwater.com/news/31051-South-Carolina-Driver-Involved-In-Katie-Arrington-Crash-Had-Alcohol-Levels-Twice-Legal-Limit">South Carolina driver involved in Katie Arrington crash twice legal limit alcohol level</a>.